Ford Motor Company officially announced its intentions to renovate the long-vacant Michigan Central Station in Detroit's Corktown neighborhood this morning. 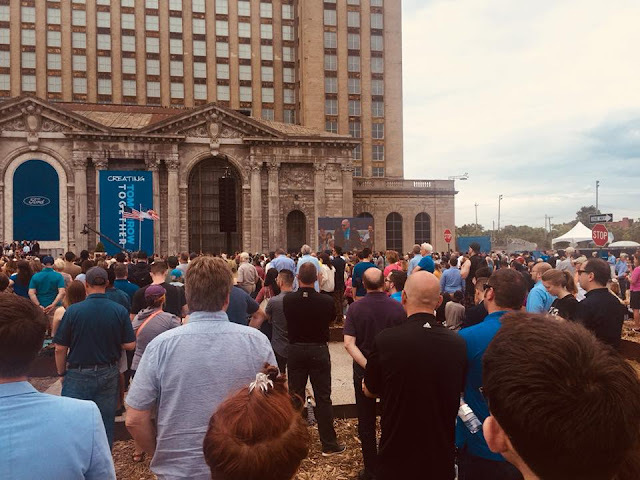 Company chairman Bill Ford declared that the train station will once again be a place of possibility; a crucial part in their strategy to ensure that Detroit remains the "mobility capital of the world." There will be a lot more details coming in the weeks and months to follow. The key takeaway, though, is that Ford Motor Company will continue to have a strong presence in Dearborn while expanding its foothold in Corktown, where it already has offices. This, in my opinion, is huge news. With Ford making large investments in Dearborn and Corktown, it can only mean good things for adjacent neighborhoods like Warrendale.